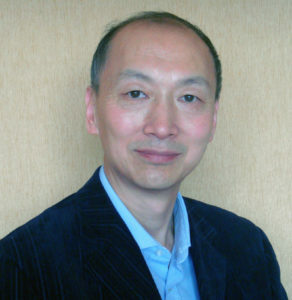 Professor Jiang Chang, Shanghai Institute of Ceramics, Chinese Academy of Sciences, Fellow of International Union of Societies for Biomaterials Science and Engineering (FBSE), Fellow of Royal Society of Chemistry, (FRSC), and Fellow of American Institute of Medical and Biological Engineering (AIMBE). Ph.D in 1991 in Chemistry from the Technical University of Darmstadt in Germany. Post Doctoral Research Fellow at the Medical University of Luebeck in Germany (1991-1993); Research fellow at the School of Medicine, University of Auckland in New Zealand (1993-1997); Research Assistant Professor in the Medical School at New York University (1997-1999); Research scientist at Johnson&Johnson (1999-2000); Professor and founder of the Biomaterials and Tissue Engineering Research Center of the Shanghai Institute of Ceramics. Professor Chang is the vice president of the Interdisciplinary Research Society for Bone and Joint Injectable Biomaterials. He is also an associate editor of the Journal of Materials Chemistry B, a guest editor of the special issue titled “Bone Tissue Engineering for Dentistry and Orthopaedics” of BioMed Research International, International Editorial Advisory Board member of Biomaterials, and the editorial board member of several scientific journals including Ceramics International, Journal of Orthopaedic Translation and Bio-Medical Materials Engineering. Professor Chang has over 300 scientific papers published in international peer-reviewed scientific journals and 70 patents in the field of biomedical materials. 1. New bioceramics and composites for bone regeneration and tissue engineering applications. My most significant contribution in biomaterials for bone regeneration and tissue engineering is to develop and apply new class of silicate materials (including silicate ceramics and bioglasses) and bioactive composites. These new class of bioactive silicate materials has excellent mechanical strength and biological properties than traditional hydroxyapatite and tricalcium phosphate ceramics. The most interesting achievements include the findings of the activity of the silicate based ceramics to induce osteogenic differentiation of bone marrow and adipose derived stem cells, and the in vivo evidence that these kind of silicate bioactive materials stimulated bone regeneration. This has not only widened the field of bioactive materials beyond the use of only a narrow range of materials, but provides stronger and more bioactive materials for bone regeneration and tissue engineering applications. In addition, I found that bioactive glasses with highly ordered mesoporous structure possessed higher drug loading/release ability and bioactivity than traditional bioactive glasses, which has great potential for development of functional bone grafting and bone tissue engineering materials with drug/growth factor loading and release properties. In addition, we are also interested in development of bioceramic/polymer composites, such as 3D scaffolds, injectable hydrogels, for tissue engineering applications. 2. Development of fabrication techniques for biomaterials with controllable micro-nano structures for tissue engineering applications. In recent years, I developed a modified electrospinning technique to prepare nano-fibrous scaffolds and tubes with controllable patterns and architecture, which may have potential for tissue engineering applications. 3. Interests in the mechanisms of cell-biomaterials interaction, in particular, the effect of biomaterials on cell-cell interaction. In previous studies we have found that bioactive silicate materials stimulated interaction of stem cells with tissue specific cells through a paracrine mechanism. Now we are focusing on the role of chemical and structural signals on cell-cell interaction. 4. Natural materials for tissue replacement and tissue engineering. We have developed a novel technique to crosslink the tissue materials and proteins such as collagen using poly-phenol substances, which have potential applications as bio-implants such as biological heart valves, or as tissue engineering scaffolds with excellent mechanical and anti-calcification properties.